Several years ago, OS1 fiber optic cable was the only one standard for single-mode fiber with the maximum link length for campus cabling around 10km, but 10km can no longer satisfy people’s increasing needs nowadays. Therefore, OS2 fiber that can support much longer distance than 10km has been widely utilized in telecommunication industry. But there has been some debate and confusion as to the differences between OS1 and OS2 fiber types and what the terminology actually means. Thus, the following article is provided to assist the users in understanding the differences between OS1 and OS2 fiber types. The following image shows the LC to LC fiber patch cable single mode plugging in a switch. Firstly, OS in the term OS1 and OS2 specifications refers to the Optical Single-mode fiber. Single-mode OS1 is indoor tight buffered fiber. An OS1 cable could be a micro-core LSZH indoor cable that consists of 250 micron fibers, with the fibers being tightly enclosed in a cable with aramid strengthening yarn and a LSZH jacket. The attenuation of a OS1 fiber is higher than an OS2 fiber. From the above table, the maximum attenuation allowed per km of installed cable is 1.0 dB for OS1 for 1310nm and 1550nm, while the maximum attenuation allowed per km of installed cable is 0.4 dB for OS2 for 1310nm and 1550nm. Single-mode OS2 is an outdoor loose tube optical fiber cable, which is suitable for outdoor applications where the cabling process applies no stress to the optical fibers. For instance, a 250 micron coated multi-fiber, which is loose inside an enclosure or tube and/or is free to move, is classified as OS2. OS1 or OS2 performance cables are constructed from B1.3 optical fibers (or ITU specification G.652D). Furthermore, OS1 and OS2 cable types can also include cables manufactured from B6_A fiber, which is commonly known as bend insensitive single-mode optical fiber, or ITU specification G657A2 (compatible with B1.3 optical fiber). OS1 or OS2 single mode fiber performance, does not relate to ITU specification G.655 (Non-dispersion shifted single mode optical fibers. Why Should We Use OS2 Over OS1 Fiber? 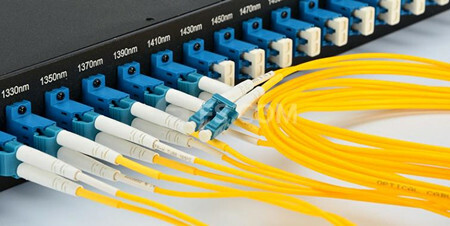 Single-mode fiber was mainly used for long-hual applications but not marked as a cost-effective investment for future application in building. One reason is that the single-mode related products like cables and optical transceivers are offered with high price. The other is that with the price decrease of the VCSEL or laser power source, the performance gap (namely link length) between multimode or single-mode fiber is smaller everyday. Considering this, why not use the best single-mode fiber (OS2) to create better performance and ready for high speed data networks? Besides the difference in link distance, OS1 and OS2 fibers have different attenuation—OS2 has two times less losses than OS1 fibers. And in CWDM or DWDM network, OS1 has poor result in the wavelength range called E-band or water peak band, which makes it not suitable for the WDM-based network. 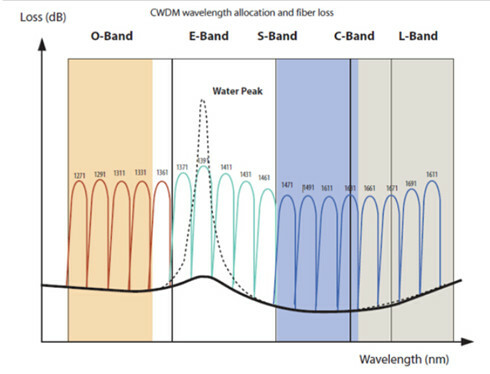 Figure 3: CWDM wavelength allocation and fiber loss. The solid line represents OS2 fibers. The dotted line represents the water peak. Another good news is that if you use OS2 fiber, it will be more suitable for you to support the IEEE 802.3 multiplexed series (40G BASE-LR4 and 100G BASE-ER4). You even don’t need to change your existing OS1 fibers, as the OS2 can be mixed with OS1 in the same link. What’s more, active or passive component for OS1 like connectors, adapters also works with OS2. To sum up, OS1 optical fiber is appropriate for indoor and universal tight buffered cable constructions, which are mainly deployed in internal building/campus networks, as well as internal cabling within telecommunication exchanges and data centers. While OS2 optical fiber is appropriate for outdoor and universal loose tube solutions, which would include external plant and most back-haul networks. Therefore, when deciding which single-mode optical fiber type to specify, consider the application as well as how and where the cable will be installed. For further information on optical fiber products, please contact FS.COM. Our fiber optic cable price is the cheapest with great feedback.